Elevated serum cholesterol is an established factor influencing cardiovascular health. Total cholesterol, low-density lipoproteins (LDL), high-density lipoproteins (HDL), and triglycerides all influence cardiovascular health. Guidelines from the U.S. National Cholesterol Education Program identify LDL cholesterol levels as the most important of these factors, suggesting that an optimal level of LDL should be less than 100 mg/dL. A variety of dietary supplements have been shown to support healthy lipid balance. * Here are seven well-researched supplements to consider. Red yeast rice extract is made by culturing rice with various strains of the yeast Monascus purpureus. This culturing process can produce a variety of compounds, including 14 active monacolins. However, many people don’t want to take niacin because of the flushing reaction that can occur when a large amount is ingested at once. 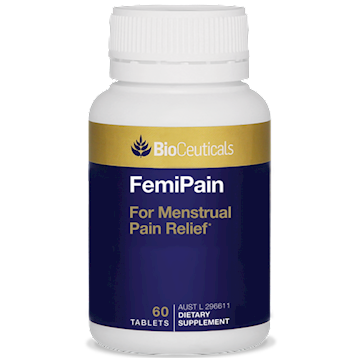 Depending on the sensitivity of each individual, even doses as low at 50 mg may cause flushing. Sustained-release niacin ameliorates the flushing reaction, but has a higher risk of damaging the liver. It’s also important to note that no-flush niacin (inositol hexaniacinate) has not been shown to have the same cardiovascular benefits as nicotinic acid. Another key point is that although niacin/nicotinic acid supports healthy lipid metabolism, those benefits may not translate to reduced cardiovascular risk. Two large, randomized, controlled trials (AIM-HIGH and HPS2-THRIVE) found that niacin supported healthy HDL cholesterol levels but didn’t affect the risk of cardiovascular events. Fish oils contain the omega-3 fatty acids eicosapentaenoic acid (EPA) and docosahexaenoic acid (DHA). 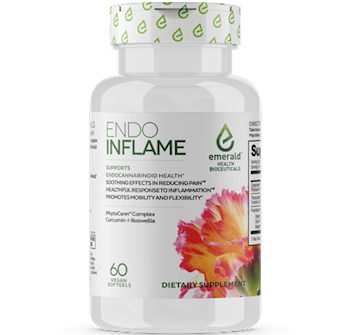 These essential fatty acids boast many health supporting benefits, including their ability to modulate eicosanoid metabolism to support healthy inflammatory response. * When it comes to supporting healthy cholesterol levels, however, the data on fish oils aren’t as clear. Studies consistently show that fish oils support healthy triglyceride levels but not overall cholesterol levels. Moreover, the amount of EPA and DHA correlates with the ability to support triglycerides. A 2009 meta-analysis of 47 studies reported that daily consumption of 3.25 grams of EPA or DHA supported healthy triglyceride levels but didn’t affect total or LDL cholesterol. Plant sterols and stanols are naturally occurring compounds in fruits, vegetables, grains, and oils. They’re also now found in fortified margarine, cooking oils, orange juice, and other functional foods. Examples include beta-sitosterol, campesterol, and stigmasterol. Plant sterols are similar in molecular structure to cholesterol and compete for absorption from the digestive tract. Most studies of plant sterols have evaluated an intake of 2 grams per day from functional foods. Meta-analyses of these studies suggest that this amount supports healthy LDL cholesterol levels. * Based on this evidence, the National Cholesterol Education Program recommends that people with elevated cholesterol consume at least 2 grams of sterols or stanols per day. Policosanol’s mechanism of action is not well defined, but it appears to have a good safety profile. Long-term studies of more than three years suggest it’s safe to take policosanol in amounts up to 20 mg per day. Not all clinical trials show that garlic supports healthy cholesterol levels, but the most comprehensive and recent meta-analysis suggests it does. This analysis, published in Nutrition Reviews in 2013, concluded that garlic taken for two or more months supports healthy total cholesterol, LDL cholesterol, and HDL cholesterol. * The analysis didn’t find that garlic affects triglyceride levels. Most clinical trials use 500 to 1,500 mg of dried garlic powder, equating to about one to two cloves per day. Alliin is the most abundant organosulfur compound in garlic, and many dietary supplements are standardized for this compound. So far, only animal studies offer evidence that hawthorn might support healthy lipid metabolism. Studies in mice that were fed a high-cholesterol diet found that hawthorn supports healthy LDL cholesterol and triglyceride levels. Mechanistic studies suggest that hawthorn supports lipid metabolism by regulating fatty acid synthesis and degradation. 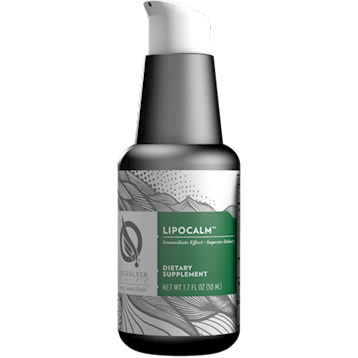 Supporting healthy lipid metabolism with supplementation is one piece of the puzzle when it comes to cardiovascular health. * Choosing to use or recommend any of the supplements discussed above should be done in the context of the overall health, diet, and lifestyle of any given patient. Weigh the risks and benefits of each supplement, and always check for nutrient and drug interactions. Alexander DD, Miller PE, et al. Mayo Clin Proc 92, no. 1 (2017): 15–29. Altern Med Rev 15, no. 2 (2010): 164–67. Bayan L, Koulivand PH, and Gorji A. Avicenna J Phytomed 4, no. 1 (2014): 1–14. Becker DJ, Gordon RY, et al. Ann Intern Med 150, no. 12 (2009): 830–9, W147. Chen JT, Wesley R, et al Pharmacotherapy 25, no. 2 (2005): 171–83. Eslick GD, Howe PR, et al. Int J Cardiol 136, no. 1 (2009): 4–16. Ganji SH, Kamanna VS, and Kashyap ML. J Nutr Biochem 14, no. 6 (2003): 298–305. Gerards MC, Terlou RJ, et al. Atherosclerosis 240, no. 2 (2015): 415–23. Gong J, Qin X, et al. Mol Nutr Food Res 62, no. 1 (2018). Gordon RY, Cooperman T, et al. Arch Intern Med 170, no. 19 (2010): 1722–27. Gouni-Berthold I and Berthold HK. Am Heart J 143, no. 2 (2002): 356–65. Gylling H, Plat J, et al. Atherosclerosis 232, no. 2 (2014): 346–60. la Paz SM, Bermudez B, et al. Curr Med Chem 23, no. 25 (2016): 2826–35. Mani P and Rohatgi A. Curr Atheroscler Rep 17, no. 8 (2015): 43. Millán J, Cicero AF, et al. Clin Investig Arterioscler 28, no. 4 (2016): 178–87. Olano-Martin E, Anil E, et al. Atherosclerosis 209, no. 1 (2010): 104–10. Pirro M, Mannarino MR, et al. Pharmacol Res 110 (2016): 76–88. Ried K, Toben C, and Fakler P. Nutr Rev 71, no. 5 (2013): 282–99. Schandelmaier S, Briel M, et al. Cochrane Database Syst Rev 6 (2017): CD009744. Zulyniak MA, Perreault M, et al. Metabolism 62, no. 8 (2013): 1107–13.